The latest version of this popular shoe (out in March) is great if grip is high on our agenda. Older models scored highly for grip, but one or two testers grumbled over stability. That’s been addressed, with wider lugs creating a solid and more secure base. The forefoot is wider and there’s a softer, more responsive feel. The Speedcross 5 works off a 10mm drop and the super-aggressive outsole only feels at home on mud – road is a no no. 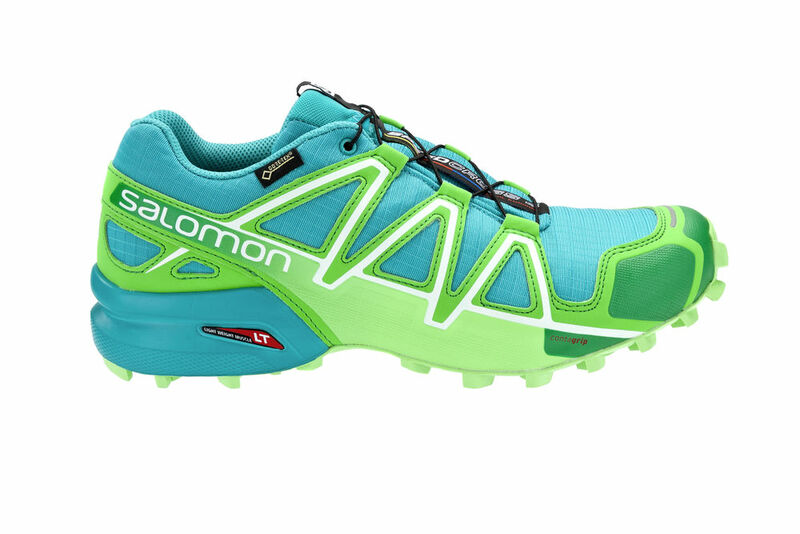 This is a positive move from Salomon and clearly the designers have taken the comfort issues on board, because this more responsive shoe is able to cope with longer runs and racing. Verdict: Safe, secure and ready for foul conditions. A comfortable shoe that does well in the mud. A good race shoe for cold, wet and windy conditions. Particularly good in wet grass and mud but performance on wet rock does let it down. A bit clumpy for some but you won't turn many ankles and your toes will thank you. First impression: ‘phwar, these are solid’! Salomon’s 6mm-drop bestseller (light trails sector), the Sense Pro 2 balances feel and protection.